Capricorn Publications have been doing a good job since their inception with a series of excellent publications dealing with a variety of Softskin and light AFVs. This new book comes into the really 'topical' category coming as it does after the release of SKP Model's Tilly and just before the same vehicle is released by Tamiya. It also comes after the release of another book on the Tilly dealing with the wide variety of color schemes which the vehicle carried during its extensive service career. The essential difference in this book are the two focal points - Technical Details of the Vehicle and, coverage of the vehicle in its service with the Czechoslovak Independent Armoured Brigade. Most publishers have established a 'standard' format and Capricorn Publications is no exception. Similarily to the the other books in their 'Army Wheels in Detail' series, the book consists of 40 pages and is softcover. Broadly speaking (more in a minute) the book is split into Four Sections: History, Focus on the Technical aspects, Color Profiles and 1/35th scale Plans.The book is written by Petr Brojo who has done a considerable amount of technical research on numerous vehicles and subjects. I'll do an overview of each section individually and complete the Review with and evaluation of its value to the modeler. History. Consistng of just six pages, the author presents a series of excellent contemporary images of the Tilly at War with the Czechoslovak Independent Armoured Brigade. the photos are of very good quality and show detail and markings clearly. For those of a 'Convertible' turn of mind, the star of the show is undoubtedly the Tilly converted into a Mobile Canteen - looking more like a small furniture removal van than anything else. Addendum: Mike Shackleton has just e-mailed me to say thet the image I commneted on was NOT in fact a Tilly after all. In fact, it's actually an Austin 10 saloon. As Mike pointed out, It doesn't have the gills in the side of the bonnet, it has the narrower driver's door of the saloon (the Tillys were lengthened for easier rear passenger access) and it has completely different wheels and a car bumper with overriders. Thanks to Mike for his update! The photos are all of good size and are meticulously captioned. At this point, being aware of the 'liberties' which are taken in the preservation of military vehicles (particularly those in museums), one's initial reaction is to be cautious over details. However, with the vehicles that are used this is NOT the case. Using a 'Parallel' presentation, Brojo presents images of the actual vehicle and links it to reproductions of the original manual. This serves to dissipate any doubts as to the accuracy of these vehicles. Not once did I see a piece which was incorrect or inappropriate. For those who are taking a basic model to the 'next' level certain areas of the coverage, in my opinion, are vital. These are: Engine (adding areas such as wiring), Interior (Color of the seats, details of the dashboard and areas such as gearstick or steering wheel) The Tilt (attachment points), or the Radiator Muffler (standard on all vehicles although there were differences in design). The presentation in this section is, once again, superlative. The only thing which is missing, are images of the bed of the cargo bay although the Tilt Hoops and their attachment points ARE present in the scale plans. Using this section as a guide, you really could spend hours of harmless fun rebuilding and super-detailing a Tilly model. Regarding the Color Profiles, three vehicles are featured. Two of them are Czech, the third the famous vehicle with the 'Caunter' scheme. As a wide variety of schemes are covered in Mike Shackleton's book, this didn't bother me too much although perhaps another page would have been welcome. The value of these profiles is that they show two VERY typical color schemes covering Early and Late coloration and are linked to the correct British Standard Color References. The final section is a page of nicely-drawn and detailed 1/35th plans. These will be of particular value for the form of the Tilt and its supports. As I said before, this book is the perfect companion volume to Mike Shackleton's 'Tilly Colours'. Rather than duplicating the research it goes off in an equally valuable direction by looking (almost) exclusively at the Technical Details of the vehicle. In this, the modeler is very fortunate as it's a small and low-priced book but absolutely packed with PRACTICAL details for the modeler. All too often books reproduce huge chunks of workshop manuals without any consideration for their practicality. In this book, the reproductions from the Tech Manuals are very useful. I would have liked to have seen more coverage in the Color Profiles - there again I would have liked another 100 pages of the Wartime photos! As it is, the author has balanced the book beautifully with a good, practical and tested format. 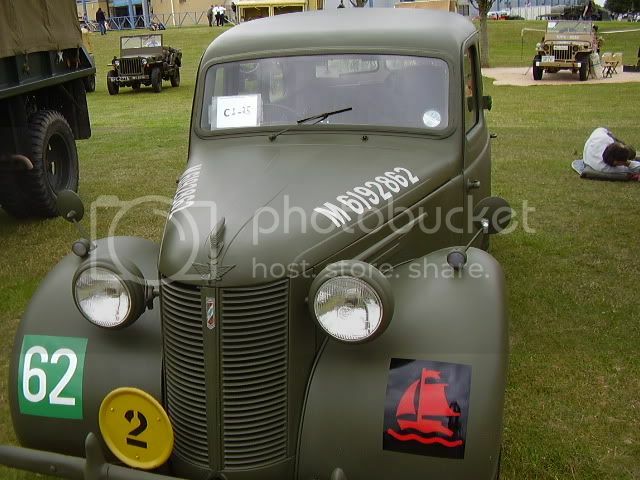 Even though the Austin Tilly is not a vehicle with the complexity of a larger subject such as an M5 Halftrack, it nevertheless has some interesting 'depth' and with this, comes many possibilities for super-detailing and existing and basic model. Fortunately now we have three Injection-moulded Austin Tillys (two in 1/35th) and another in Resin. Possibilities abound! My thanks to Petr Brojo of Capricorn Publishing for the opportunity to Review this excellent and informative book! Highs: The subject; the Tilly has so many possibilities for the modeler it could have been invented for us. Verdict: To give so much info in only 40 pages is an impressive accomplishment. Combining the 'Original' Users manual with contemporary images is also a well-thought out production. Excellent. Our Thanks to Capricorn Publications! Thanks for getting that posted James!